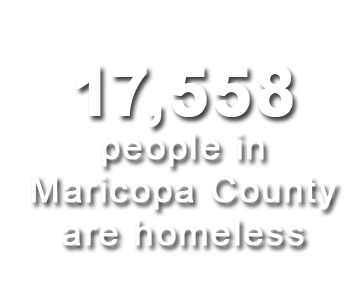 An astounding 40 percent of Maricopa County’s homeless people are families, usually a single mom with kids. The Phoenix area ranks seventh in the U.S. Families experiencing homelessness move frequently between shelters, overcrowded apartments, and temporary arrangements with relatives or friends. 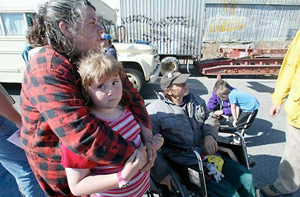 All that moving around is traumatic, particularly for children. Lack of consistency, routines, privacy, safety, health care, uninterrupted schooling, and more make it hard for kids to flourish socially, emotionally, and academically. 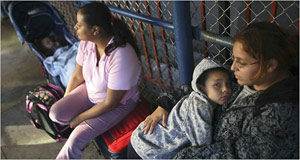 Homeless children are twice as likely to experience hunger, health problems, and repeat a grade in school. Homeless families need assistance with housing, employment, childcare, school enrollment, transportation, recreation, and parenting.